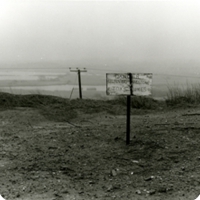 Notification of a site as a SSSI confers no public right of entry to any land without the permission of the landowner. It is an offence under Section 28 P(6) of the Wildlife and Countryside Act 1981 (as incorporated by the Countryside and Rights of Way Act 2000), without reasonable excuse, intentionally or recklessly to destroy or damage any of the flora, fauna, or geological or physiographical features by reason of which land is of special interest, or intentionally or recklessly to disturb any of those fauna. A person found guilty of any such offence may be liable on summary conviction to a fine not exceeding £20,000 or on conviction on indictment to a fine. Some species of plants and animals listed on the citation for a protected site may also be subject to special protection under Part I of the Wildlife and Countryside Act 1981, or under the Habitats Regulations 1994.